Just a wee bit reminiscent of The Ring, but great looking nonetheless, is a new film out of Thailand. Just like the title says it impresses, till the techno, but towards the end it once again regains it's momentum and displays some possibility. Really there's not much available on it right now, but what we have is a teaser which looks more like a trailer (due to it's length) after the break. Hello.. May I know the song name in soul's code? can i know the song name?? when the last part.. the song is really touching can anyone tell me the song name??? or anyone can send me the song to my email??? thanks you!!!!! 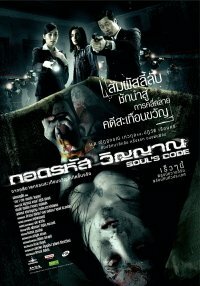 Where can I watch this movies (soul code)..